5 Year Warranty Coverage* -- *1 year limited factory warranty + 4 years Yamaha Extended Service = 5 years coverage. A massive 1854cc air-cooled V-twin powers Star Venture with a class-leading 126 pound-feet of pavement-bending torque, for effortless passing power even when fully loaded. And while the competition promotes their “new” four-valve cylinder heads, Yamaha has been refining the four-valve, twin-spark-plug, pent-roof engine design for nearly 20 years, delivering exceptional power and drivability that leaves the rest of the class in the dust. 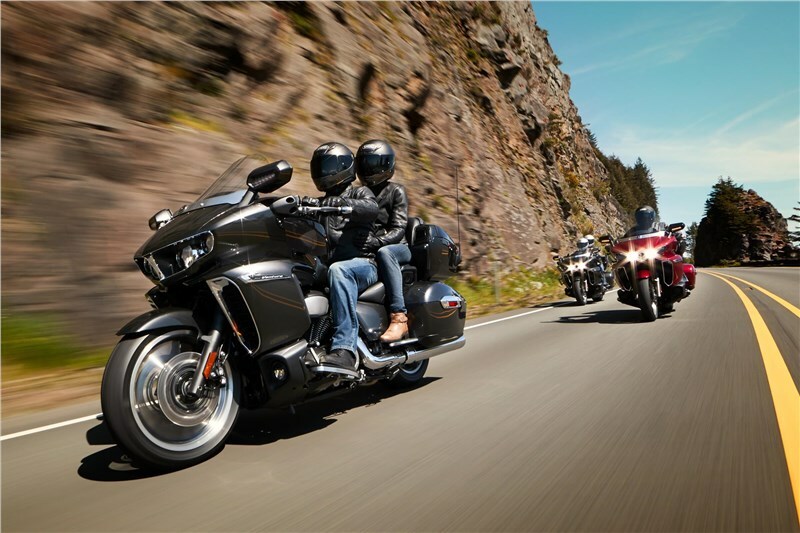 The Star Venture engine delivers huge torque with a thrilling V-twin pulse that brings excitement to every ride. And thanks to lightweight forged alloy pistons, carefully-tuned counterbalancers and advanced composite engine mounts, the Star Venture creates a luxuriously smooth ride ideal for days in the saddle without fatigue. Developed specifically for the needs of long-distance touring, the six-speed gearbox features ratios chosen to make the most of the huge low-end torque available from the 1854cc engine, for brisk acceleration in lower gears and relaxed highway cruising—at 75 mph in sixth gear, the Star Venture will run at an ultra-smooth 2750 rpm. 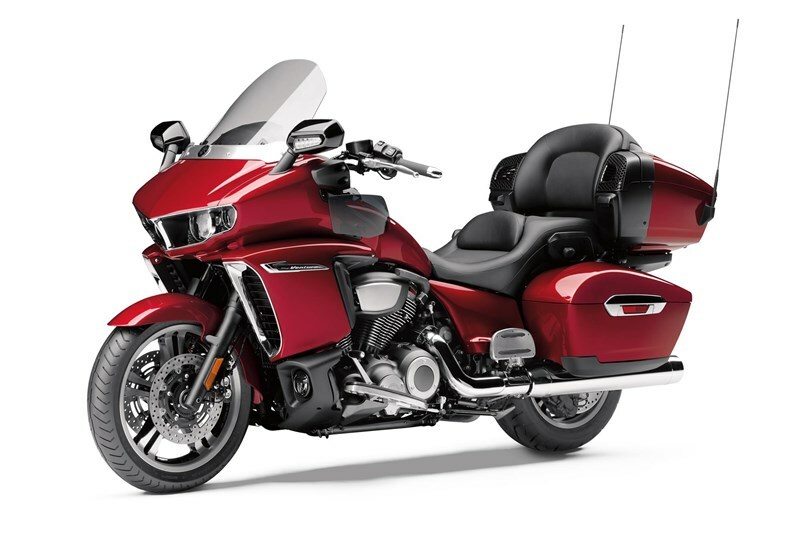 Star Venture tackles big-mileage trips without breaking a sweat, and thanks to the Yamaha Sure-Park System, even the smallest maneuvers of your ride are equally confidence-inspiring. Controlled from the handlebar, a small electric motor provides forward and reverse drive to handle tricky parking situations, especially on rough or poor traction surfaces. The Star Venture engine features a semi-dry-sump design, lowering the effective center of gravity by allowing the engine to sit lower in the frame, and the external oil tank is integrated into the aluminum subframe to centralize mass and reduce weight. And to maintain ideal engine temperatures, a compact oil cooler is hidden between the front down tubes. 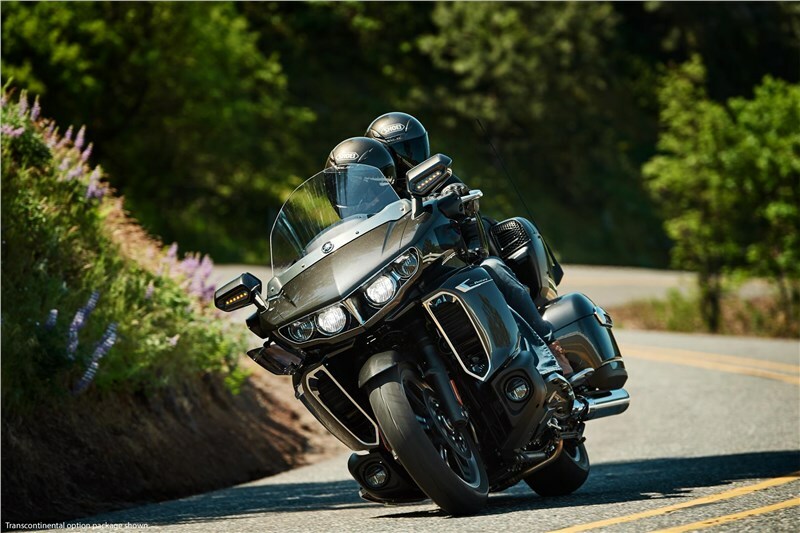 Star Venture features Yamaha’s Chip Controlled Throttle, or YCC-T®, a ride-by-wire throttle control system that converts the rider’s grip input into precise throttle control, for impeccable engine response and enhanced levels of refinement from the high-torque engine. 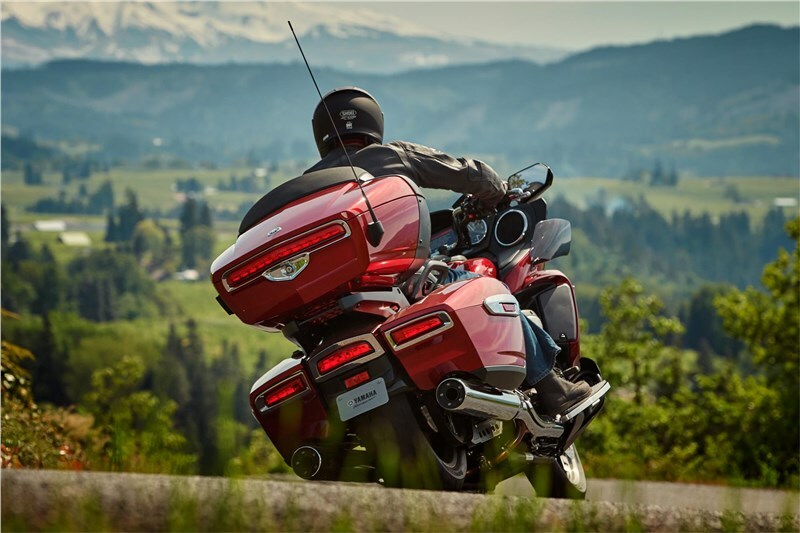 With the advent of YCC-T, Star Venture is able to mount a variety of advanced rider assistance technologies, including Yamaha D-Mode and traction control. 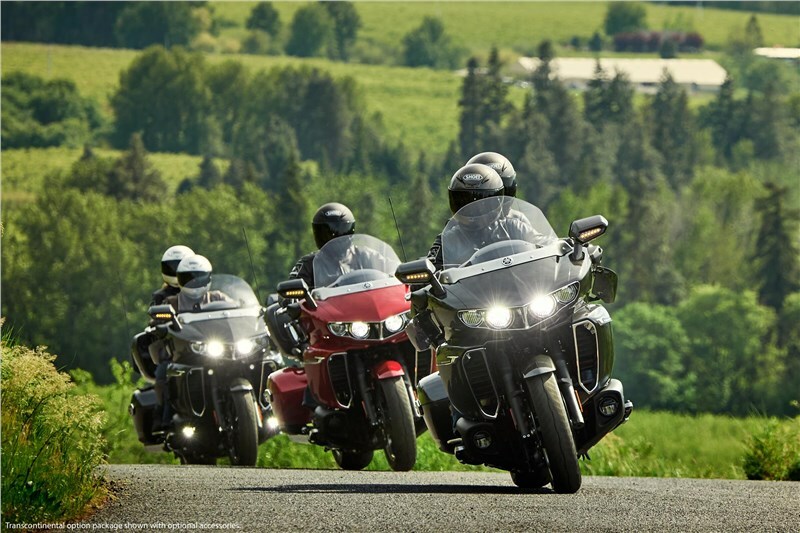 D-Mode allows the rider to choose from two different throttle response settings: an ultra-smooth touring mode, and a sport mode for sharper response. 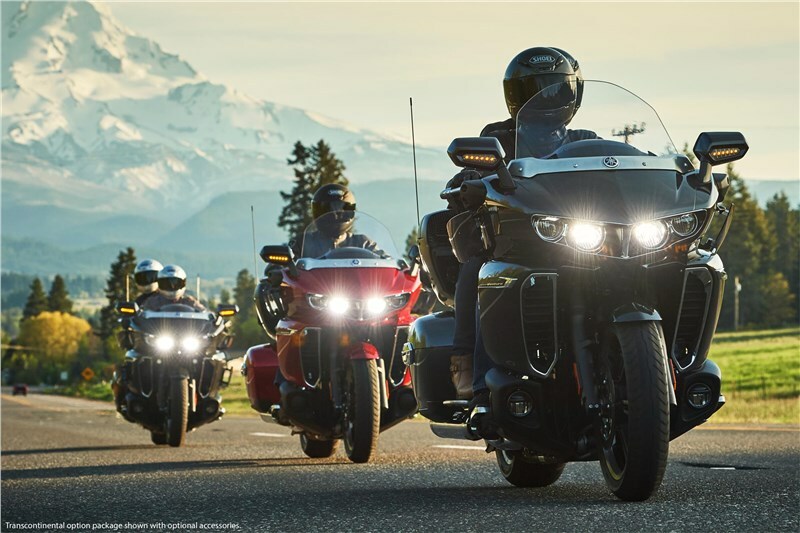 The traction control system helps prevent wheel spin when dealing with reduced traction road conditions—and Yamaha is the first manufacturer to offer this type of system in the full-dress touring class, too. 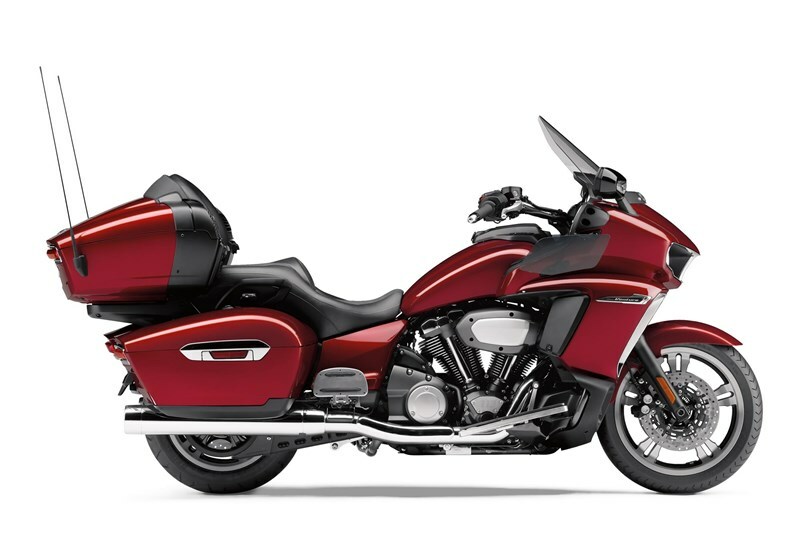 Yamaha’s refined cruise control system comes standard, using YCC-T ride-by-wire technology to provide a convenient push-button solution to ease long highway jaunts, for less fatigue and improved fuel economy. Yamaha’s assist and slipper clutch uses internal ramps to provide additional clamping force under acceleration along with the proven advantages of a back-torque-reducing, slipper-style clutch. This two-way design uses lighter clutch springs to reduce clutch lever effort, and provides smoother deceleration, especially when downshifting aggressively. 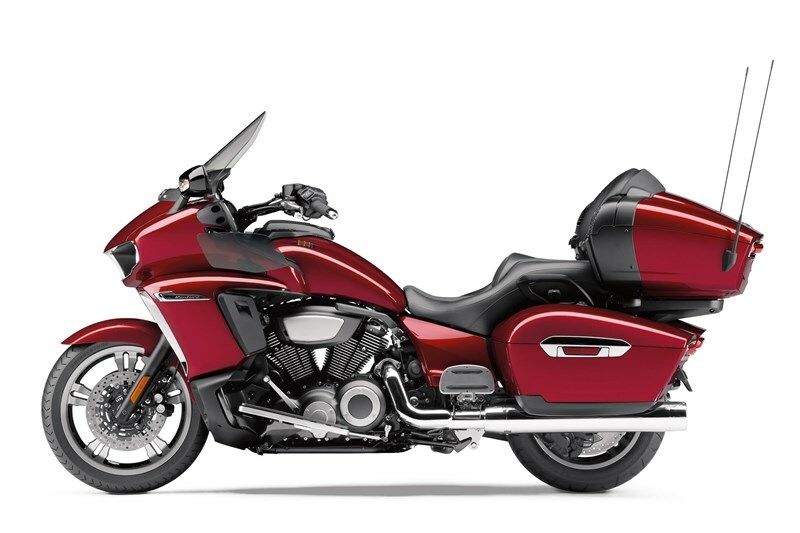 The Star Venture’s exhaust system features a twin-muffler design with the throaty V-twin exhaust note that custom touring fans seek. 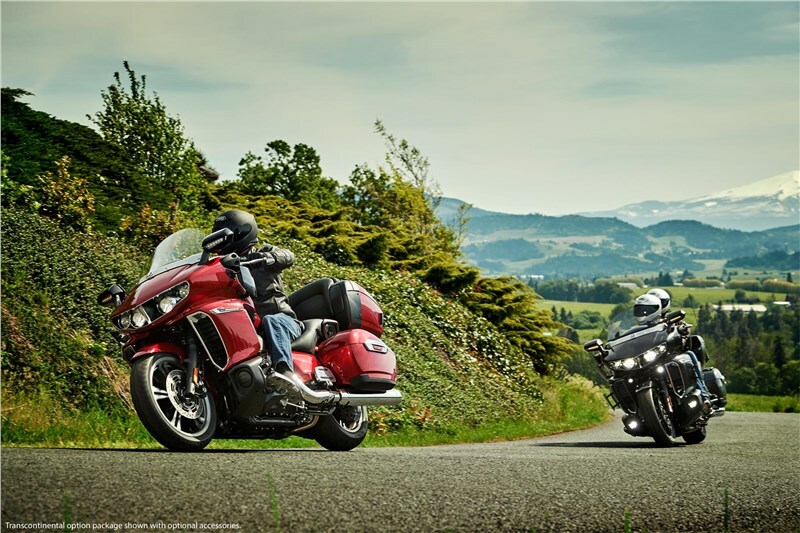 Yamaha carefully developed the exhaust tone throughout the entire rpm range in collaboration with the audiophiles at Yamaha Music, for a thrilling soundtrack on every ride. 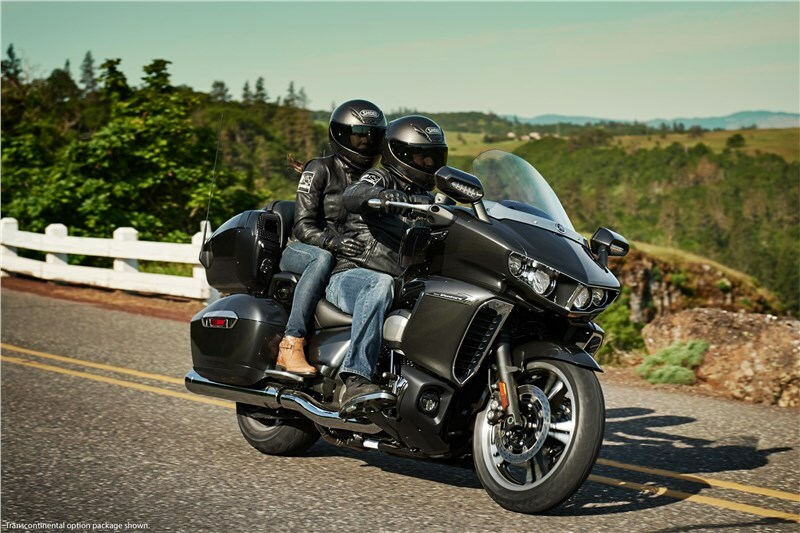 Star Venture features paired alternators – mounted low and forward in the engine cases – to provide ample electrical power for the heated seats and grips, audio system and lighting. 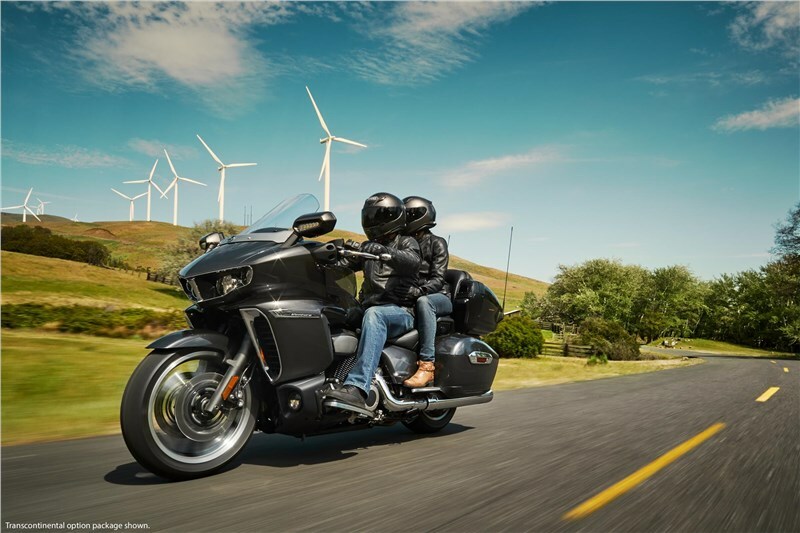 With 750 watts of total output, riders can feel free to add common electrical accessories or heated apparel without taxing the bike’s charging system. Mounted high in the cockpit for improved visibility, the 7-inch full-color LCD display puts a huge array of information and control at the rider’s fingertips. Controlled via touchscreen, handlebar controls or voice commands, this infotainment package gives the rider access to vehicle control and data, a range of audio sources and wireless Bluetooth® communications options. The locking fairing storage includes a USB charging and interface port to keep devices topped up, too. By integrating vehicle systems into the infotainment console, running data such as trip computer functions and tire pressure can be easily confirmed on-screen, while elements such as the heated seats can be controlled by the rider. By linking a Bluetooth®-equipped smartphone, the Star Venture gives the rider complete control of communications with both the passenger and the wider world directly through the infotainment display. Mounting paired high-performance speakers, the Star Venture audio package is ready to rock and roll. Pick up favorite local radio stations, bring your pre-recorded music with you, or stream Pandora® from your smart phone, thanks to the onboard USB, AUX stereo, or Bluetooth® wireless connection options. 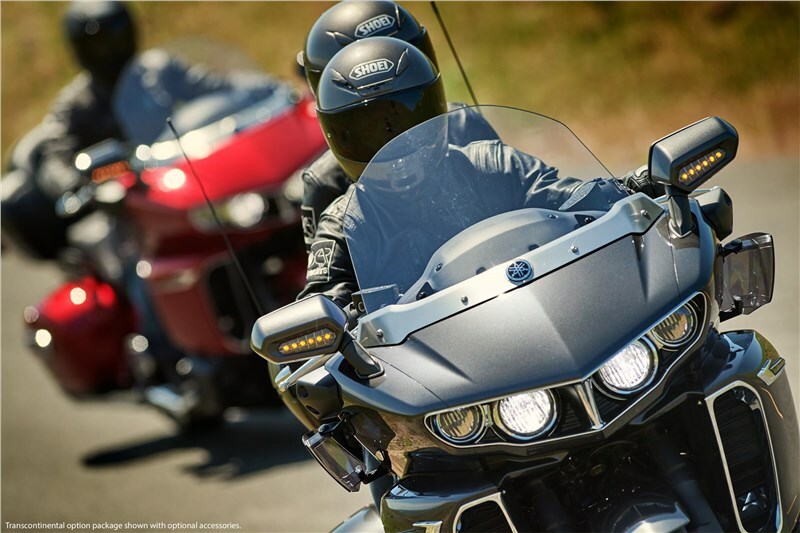 Riders stepping up the Star Venture Transcontinental Option Package are provided with a range of infotainment upgrades. GPS navigation with points-of-interest and route logging makes it easy to plan, share and upload ride routes from the comfort of your home computer. A CB radio system keeps you in touch with other road users near and far. SiriusXM® keeps the tunes pumping across the state or across the country, while SiriusXM Travel Link® satellite weather and traffic keeps riders ahead of the conditions. With an additional pair of high-output speakers and Yamaha’s exclusive Dual Zone audio control—which allows rider and passenger to select different audio sources, hold private phone calls, and more—the Star Venture Transcontinental offers one of the most advanced infotainment packages ever seen on two wheels. The Star Venture is built around an advanced hybrid chassis designed for agile, confidence-inspiring handling. The main steel frame makes use of casting and forgings to place material exactly where needed for optimal rigidity, while the rear subframe makes use of Yamaha’s advanced aluminum die-casting techniques to reduce weight and centralize mass even further. The balanced chassis gives the Venture a combination of solid straight-line stability with agility on the curviest of roads. Thanks to the semi-dry-sump engine, advanced frame design and careful positioning of major components, turn-in and direction changes require less effort, for a more engaging ride with less fatigue. 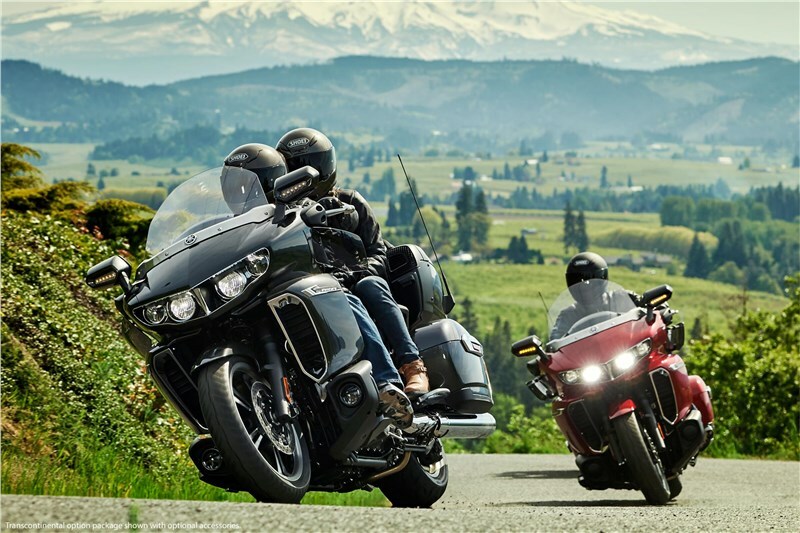 And you can feel the difference every ride, as the Venture requires a massive 22 percent less effort to lift off the sidestand than similar models in the class. A huge 46mm telescopic fork features damping and spring rates selected to offer an ideal balance of bump absorption and high speed handling, all without losing a light and responsive road feel. 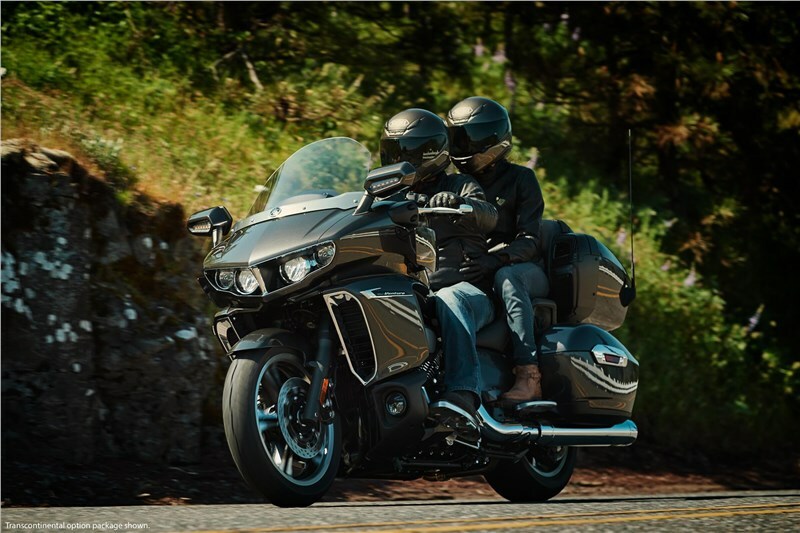 The Star Venture is a true riders’ machine that combines real-world road-holding performance with the plush comfort expected from a luxury touring motorcycle. The rear suspension system features a linkage-type, gas-pressurized, remote reservoir shock to create a compact design with a plush, controlled feel. As with the front fork, damping and spring rates were carefully considered to give the Star Venture an ideal balance of comfort and road feedback, with convenient tuning thanks to a remote preload adjuster. 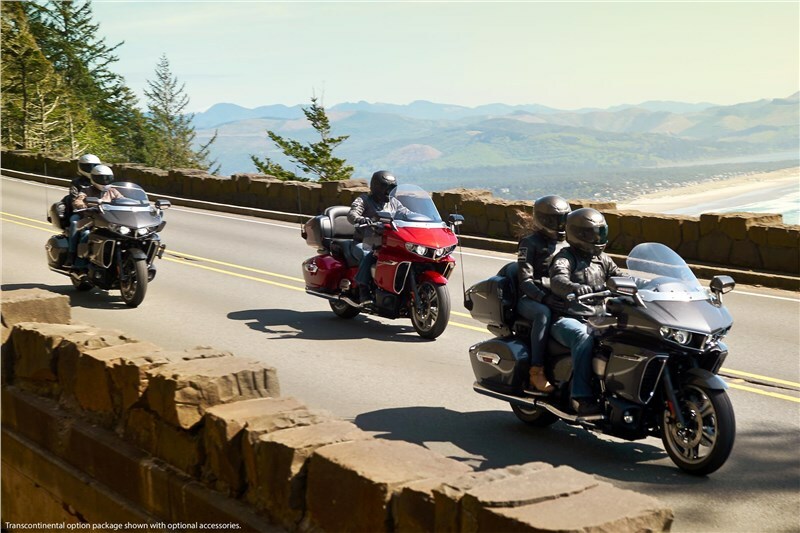 Around the block or around the country, the Star Venture gives its rider unbeatable braking confidence thanks to high-performance, triple-disc brakes featuring advanced electronic control. Yamaha’s Unified Braking System dynamically adjusts front and rear brake force balance in real time to ensure linear braking feel and power. And Yamaha’s refined antilock braking system (ABS) prevents wheel lock-ups when dealing with reduced traction road conditions. 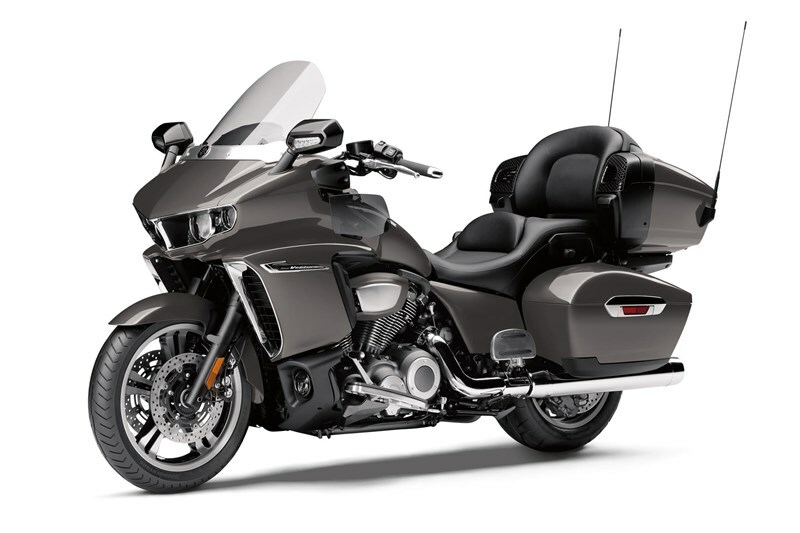 Star Venture features advanced sensors in each wheel, which constantly update the instrument panel with current tire pressure data—and alert the rider if pressures fall for any reason—for confidence on long tours without the inconvenience of checking tire pressure before each ride. 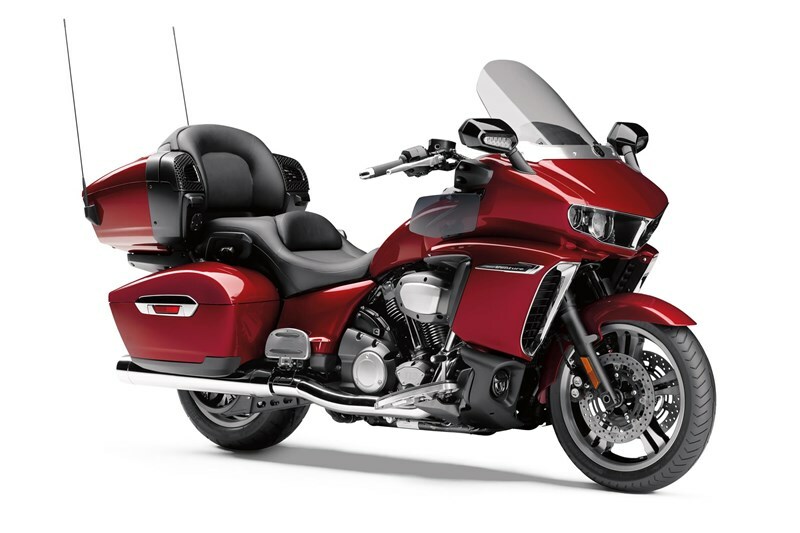 The Star Venture features a huge 6.6-gallon fuel tank for generous range, easily reaching 200 miles between fuel stops. 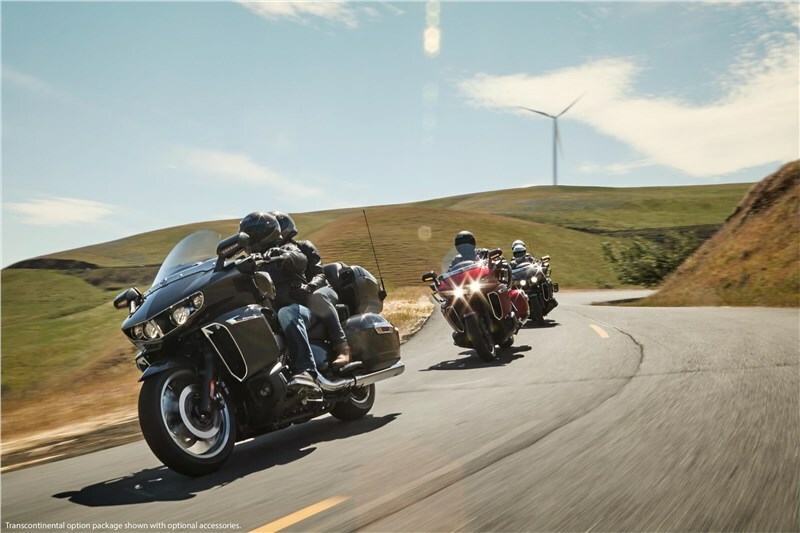 Riders now have the freedom to journey further than ever. 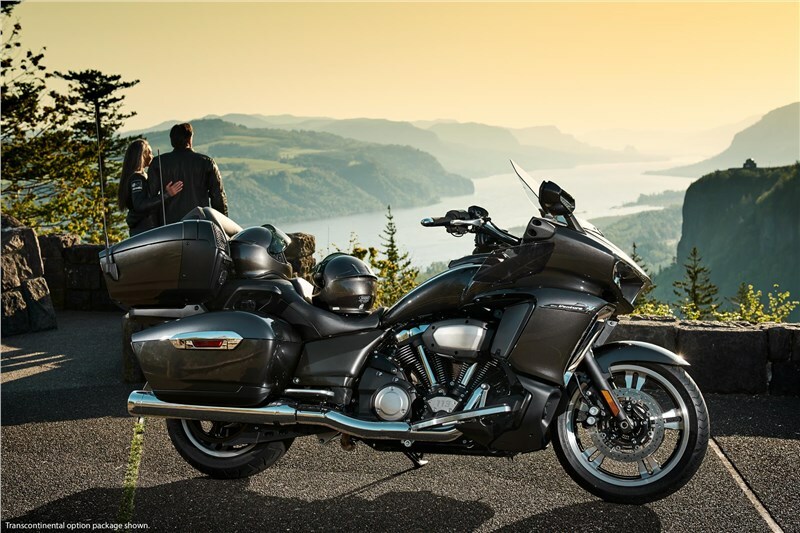 A luxury touring machine should provide easily customized comfort, and the Star Venture has you covered. Both hand levers offer five-position span adjustments. A deeply padded seat – with an unladen height of only 27.4 inches – makes planting both feet on the pavement easy, and it features a rider backrest with three-position fore and aft adjustment. The passenger backrest is over 17 inches wide for plenty of room to move around, and passenger floorboards can be adjusted between two positions. 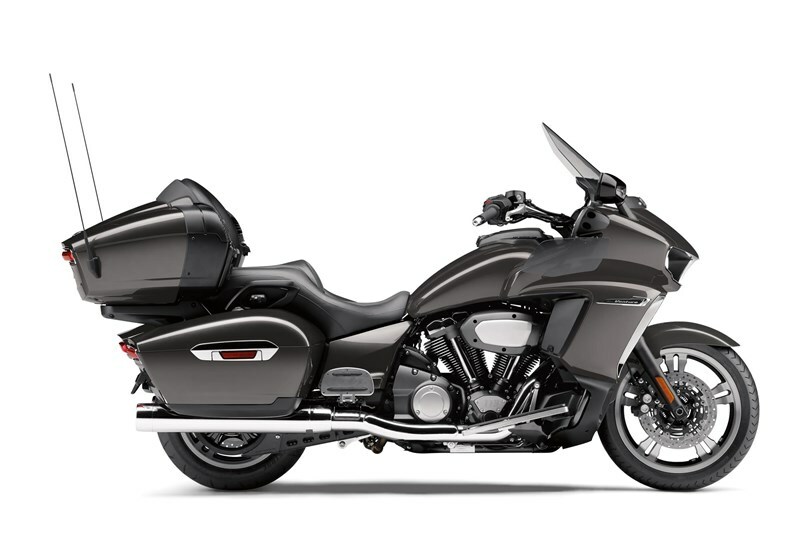 Featuring a stylish full-coverage fairing with just the right amount of classic American muscle car attitude, Star Venture provides the ultimate in style and wind protection touring riders demand. And thanks to the frame-mounted design, steering remains light and neutral compared to competitors’ fork-mounted designs. The Star Venture offers a range of aerodynamic tuneability, with an electrically adjustable windscreen that offers over 3.5 inches of vertical adjustment. 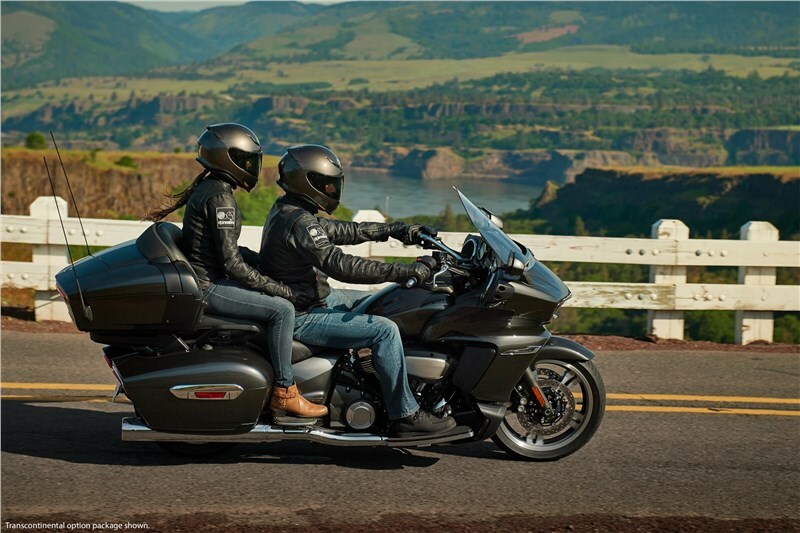 External visors at the middle of the fairing can be adjusted to direct cold air away from the riders on chilly rides, or to direct cooling airflow inwards for warmer weather. And ducted vents inside the lower fairing can be opened or closed to further customize airflow for changing conditions. 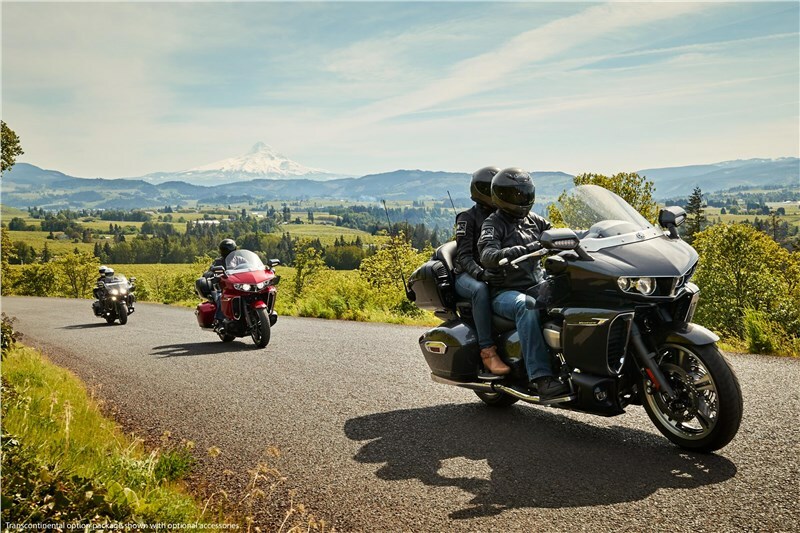 No matter if the ride calls for a chilly morning or a frozen mountain pass, Star Venture keeps both rider and passenger comfortable thanks to an array of heated contact points, including grips, rider seat, rider backrest, passenger seat and passenger backrest—all standard. Long rides don’t stop when the sun goes down, so the Star Venture features all-LED lighting to maximize illumination. LED brake lights and turn signals boost visibility, while the quad LED headlight assembly punches a huge hole in the darkness with crisp, bright light. And since LED technology uses less power and lasts longer than traditional bulbs, Star Venture owners can spend more time concentrating on riding. Take it all with you. 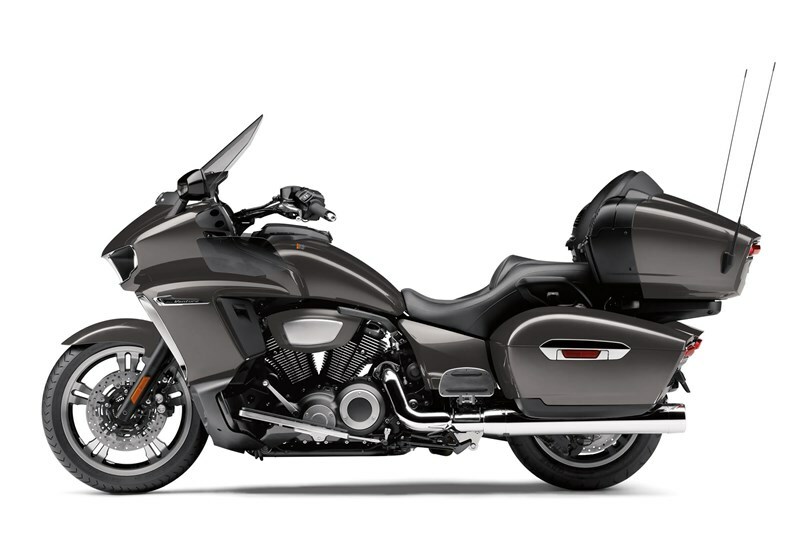 Star Venture features a cavernous 37.3 gallons of volume across the saddlebags, Tour Truck and upper and lower faring storage compartments. Plus, the Transcontinental Option Package offers an additional pair of easily accessible passenger storage compartments, boosting storage capacity to over 38 gallons. To provide both convenience and security, the USB-equipped fairing storage compartment, saddlebags and Tour Trunk all feature electric locking lids straight from the factory. Personalizing a Star Venture is even easier, thanks to a full range of Genuine Yamaha Accessories, from the classic heel-and-tow shifter to additional luggage racks and stylish auxiliary driving lights. For details on the full range of accessories, check out shopyamaha.com. 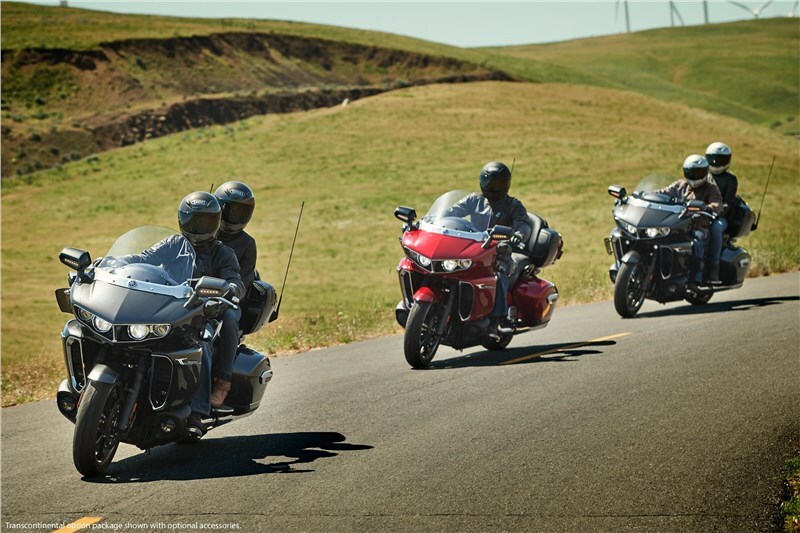 Star Venture riders can hit the road knowing that Yamaha is behind them for years to come, thanks to a full 5 Year Warranty Coverage* -- *1 year limited factory warranty + 4 years Yamaha Extended Service = 5 years coverage: Certain exclusions apply, see terms of each for details. The Star Venture Transcontinental Option Package mounts a range of upgraded features, including supplemental LED fog lamps, an additional pair of storage compartments for the passenger complete with a USB port, and an alarmed security system to keep your investment safe from threats, whether you’re riding around town or around the country.